VATICAN CITY (CNS) — Pope Francis led thousands of pilgrims in praying for Venezuela as the country continues to descend into chaos while government authorities press ahead with plans to change the country’s constitution. “I assure my prayers for this dear nation and express my closeness to the families who have lost children in the demonstrations. I call for an end to the violence and that a peaceful and democratic solution may be found,” the pope said during his Angelus address July 2. “Those armed gangs and state security forces have caused deaths in a truly criminal way, such as shooting firearms directly at the head or firing shotguns at close range or launching tear gas to cause deadly damage,” Cardinal Urosa said during a Mass in Caracas June 29. The Venezuelan prelate also expressed his support for the country’s attorney general, Luisa Ortega Diaz who became the highest-ranking government official to denounce Maduro’s attempts to rewrite the constitution. Appointed by the late Hugo Chavez, Ortega broke ranks and denounced human rights violations committed against protesters. She also attempted to remove judges loyal to Maduro who were elected under suspicious circumstances, and she filed a motion to end an immunity deal made to judges who approved the government’s plan to rewrite the constitution. Her criticism drew the ire of Maduro’s government, which barred her from leaving the country and froze her bank accounts, reported The Guardian newspaper. Following the government’s actions against her, Ortega asked the Inter-American Commission on Human Rights for protection. “I believe that the attorney general of the republic has taken a very democratic position, precisely denouncing a series of abuses and it is necessary that those abuses end,” the cardinal said. 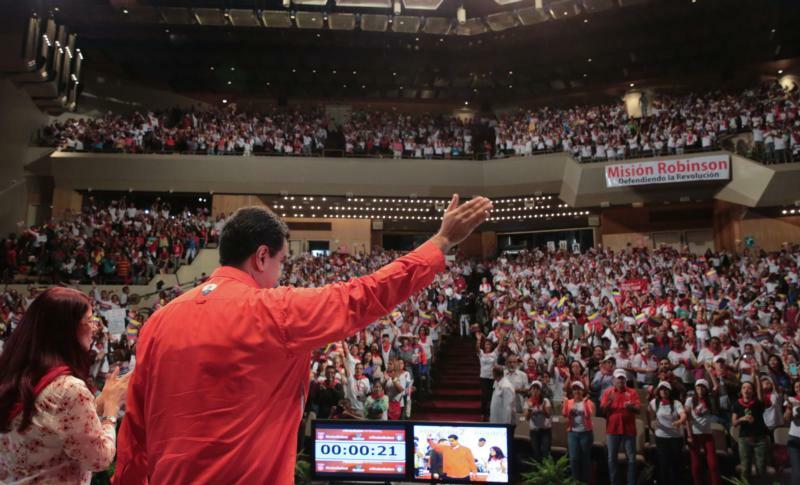 “All of this is reprehensible and intolerable and it is not the path that most of the Venezuelan people want,” he said.